Our practice has continued to grow over the past 40 years primarily by word of mouth. We see third and fourth generation families, and cherish the relationship that develops. We love it when you invite your family members and friends to our clinic to care for their eye needs. We are committed to treating everyone with the same expert care, and hope they feel at home with us just as you have felt. We have decided to reward you for your efforts when you take the time to invite someone new to our practice. You will receive a $20 reward for every new patient whom we see as a result of your kind referral! We will also note that you have a $20 credit toward your next product purchase. The more you refer, the more your rewards start adding up. The sky is the limit! We are also offering a generous discount to your referral. We will take 20% off their entire bill on the day of their first visit. This discount will not apply if the new patient has insurance or any other type of discount plan. Stop by to pick up some Share the Care cards to give to your friends and invite them to schedule an appointment to see us. Have them bring in their card to insure we know you referred them. 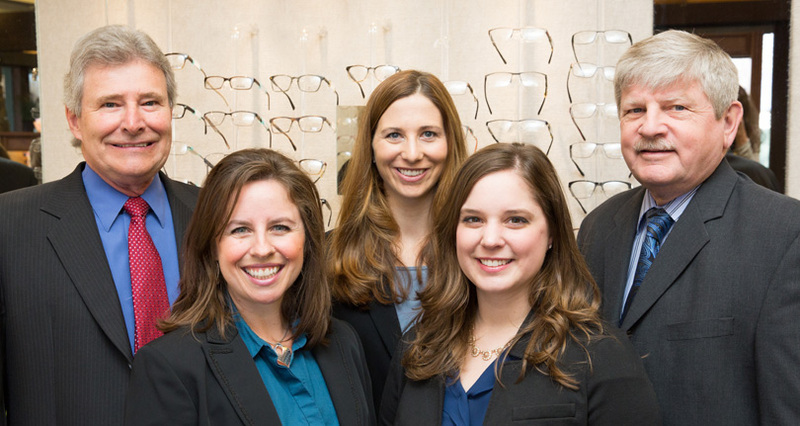 You can be assured that they will receive the same comprehensive, professional eye health care that you have come to expect.